This week, Dr. Helen Caldicott talks about renewable energy with physicist Amory B. Lovins, cofounder, Chairman, and Chief Scientist of the Rocky Mountain Institute, an independent non-profit think-and-do tank that drives the efficient and restorative use of resources. An advisor to major firms and governments in over 50 countries for the past four decades, Lovins is author of 31 books including his latest, Reinventing Fire: Bold Business Solutions for the New Energy Era (2011), as well as over 450 papers. 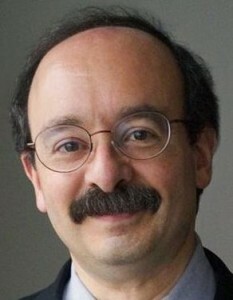 In 2009, Time Magazine named Lovins one of the world’s 100 most influential people. In this conversation, Lovins and Dr. Caldicott discuss the downsides of oil and coal, how America is reducing its coal use, cogeneration, China’s inspiring partial transition to greener energy in recent years, the enormous potention for non-nuclear renewable energy in Japan, the toxicity of fracking, and a 2010 report by the National Research Council that renewable energy options in the U.S. could meet a large percentage of America’s needs. Lovins mentions the book Biomimicry: Innovation Inspired by Nature. Later, Dr. Caldicott asks how Americans can reduce their energy waste and how architects can create buildings that limit power consumption. Lovins also addresses how Americans could solarize their homes using the example of Israel and Chile. In discussing baseload power, Lovins explains how an array of renewables could provide power at different times of day and night, while storing energy. He recommends listeners watch his presentation, A 50-year plan for energy, based on Reinventing Fire. In closing, Dr. Caldicott strongly urges listeners to read Lovins’s book. Also, be sure to visit ReinventingFire.com. This entry was posted on Friday, June 22nd, 2012 at 12:00 am	and is filed under Uncategorized. You can follow any responses to this entry through the RSS 2.0 feed. Both comments and pings are currently closed.